Nawat Itsaragrisil, President of Miss Grand International Organization will be witnessing the passing of crowns of MGI 2016's runners-up. Since Nicole Cordoves won 1st Runner-Up at 2016 Miss Grand International, rumor has it that Mr. Nawat has indicated he will be attending the Bb. Pilipinas 2017 coronation night in April together with reigning Miss Grand International 2016 Ariska Putri Pertiwi from Indonesia. The controversial Mr. Nawat, who was accused of attempting to force Miss Grand Iceland to lose weight for 2016's competition, is the owner of Miss Grand International which has been held annually since 2013 with its motto of Stop the War and Violence. In 2013 and 2014, John dela Vega was the Philippine franchise holder of the Thailand-based pageant and the winner was named as Miss Grand Philippines. Annalie Mallari Forbes aka Ali Forbes, Binibining Pilipinas 2012 Second Runner-up was appointed to compete at the inaugural edition of Miss Grand International in 2013. Ali placed 3rd runner-up. In 2014, Filipino-Swedish equestrian and model Kimberly Karlsson was crowned Miss Grand Philippines in a crowning event held in the GT-Toyota Asian Cultural Center, in Diliman, Quezon City and eventually represented the Philippines at the 2nd edition of Miss Grand International in Thailand. She was unplaced. In 2015, Madam Stella Marquez-Araneta of Binibining Pilipinas Charities Incorporated (BPCI) acquired the local franchise of Miss Grand International and handpicked Bb. 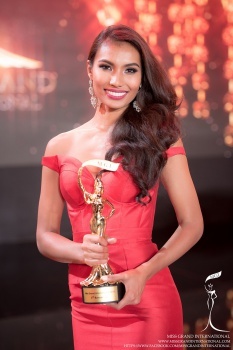 Pilipinas Tourism 2014 Parul Shah to represent the Philippines at Miss Grand International 2015 where she placed Third Runner-up and won Best in National Costume. 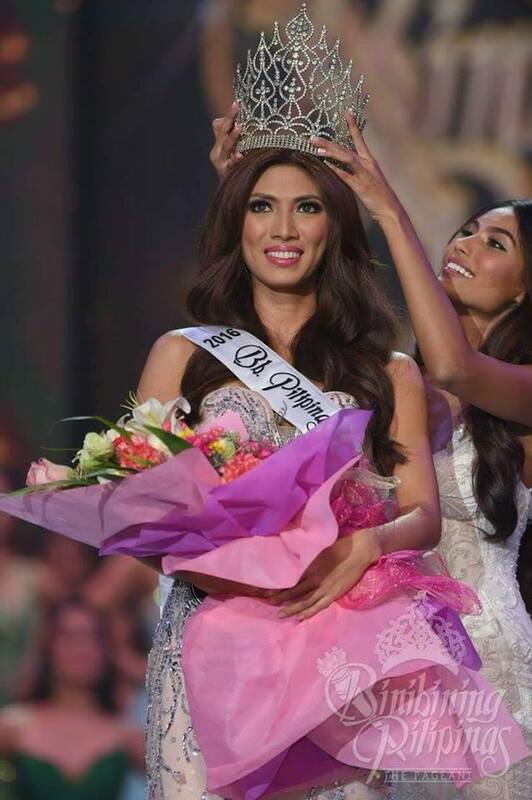 Last year, Nicole Cordoves was the first Binibini to be crowned as Binibining Pilipinas Grand International in Bb. Pilipinas coronation night. Nicole Cordoves won 1st runner-up at the Miss Grand International 2016 pageant held at the Westgate Hotel and Casino in Las Vegas, Nevada. 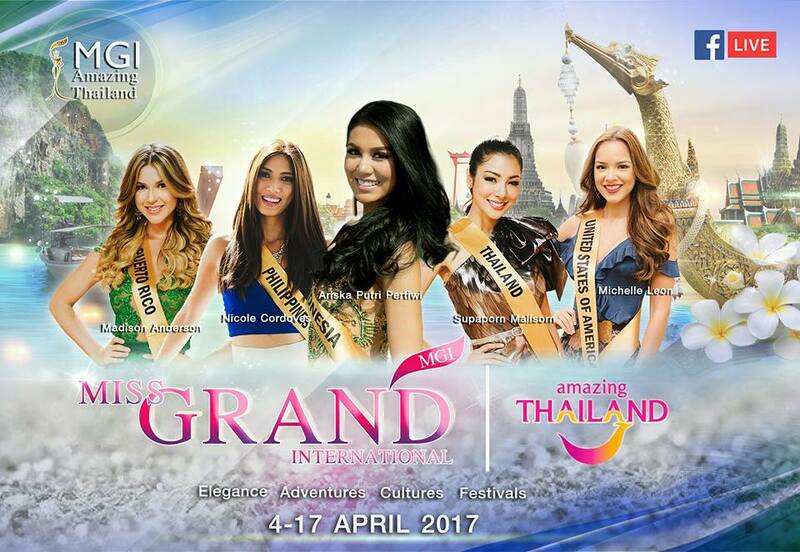 The 2016 Miss Grand International Top 5 Finalists will be reunited on April 4-17, 2017 for challenge missions in Thailand.